So far, I have missed several of the sessions, opting instead to stay in bed and keep up with my Tylenol Cold & Flu pills supplemented with Ricola cough drops, both of which help a lot. Consider this a testimonial for the two products. The Rail Passengers Association Fall meeting wrapped up tonight (Saturday) with a banquet and a program that reviewed the contributions of former NARP staff and interns and members over the past 50 years. 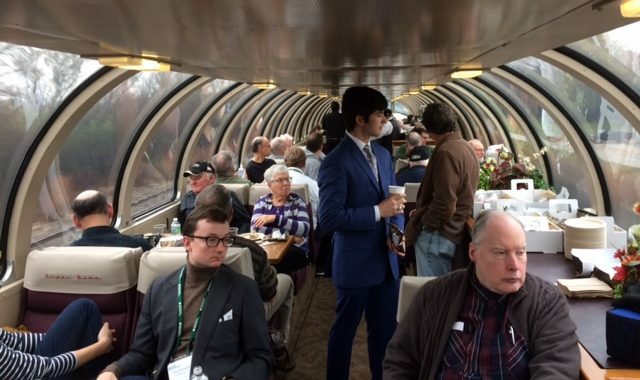 Highlight of the three day event for many of us were two excursion rides in a vintage dome car from Chicago’s Union Station up to Milwaukee and back–one in the morning and another in the afternoon–about a 90-minute ride in each direction. I guess most non-rail fans don’t really understand the attraction of little junkets like this, but for our members, It’s a real treat. I suppose wine and beer and snacks are a factor. Today is my first day spent mostly vertical and I’m feeling it. 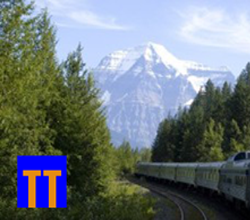 Tomorrow will be a full day with nothing specific scheduled, then I’m back on the train Monday afternoon: two nights aboard the California Zephyr en route to Davis, California. As always, I eagerly await. 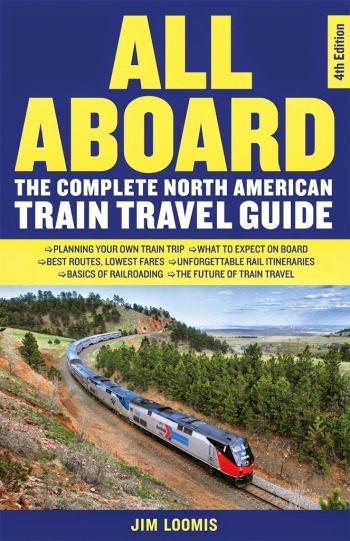 Previous Amtrak’s Anderson Backs L/D Trains. NextGood-By to Chilly, Rainy Chicago.